In most cases, used electronic devices are good enough to be reused, restored, resold, recycled or disposed mindfully. It is important to understand that e-waste has a horrifying effect on the environment and human life. The best thing to do is practice e waste management. You may give your e-waste to a certified recycling facility. All plastic casings of electronics products have polyvinyl chloride which has serious effects on health. There are several health effects of the above listed toxins on humans. In many cases, these cause serious damage to heart, brain, liver, kidney, and even skeletal system of the body. Studies have revealed that e-waste causes significant effects on the nervous (central and peripheral) and reproductive systems of human body. Presently, electronic waste comprises of around 2-5% of the solid waste stream of the US municipal. As per a prediction made by the Carnegie Mellon University, the landfills have over 70 million computers. In a shocking revelation, it was proved that the average computer screen comprises of around 5-8 pounds or more of lead. This number represents over 40% of all lead present in US landfills. All of toxins are tenacious, bio accumulative toxins (PBTs). These are known to cause serious environmental and health related risks especially when computers are burned or destroyed. The risk will also increase the moment screens are buried in landfills or melted down. Upon burning, PC monitors and other electronics tend to create dioxins responsible for producing cancer. These are released into the air humans breathe. In the event, electronics are flung into landfills; the toxins may leak into groundwater. This will produce serious damaging effects to local resources. People do not even realize that they are producing serious and fatal damages to the sea animals through improper disposal of e-waste. 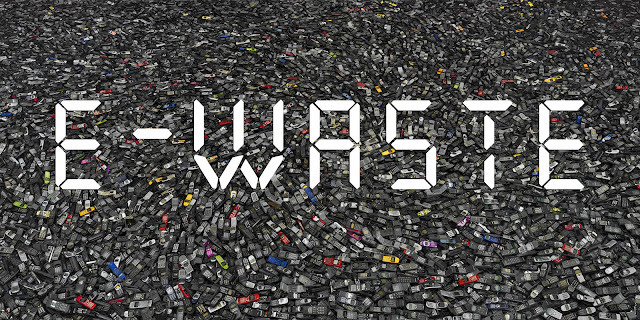 Only around 10% of cell phones get recycled in the United States. Ironically, most Americans invest in the latest or new cell phones every 12-18 months. The practice has resulted in large number of electronic waste that keeps on increasing every year. Additionally, lack of responsible recycling makes things worse. A lot of residents of Guiyu, China have shown issues with their neurological, digestive, and respiratory systems. They have also developed serious bone conditions over the years. Guiyu is the largest e-waste disposal site in the country and possibly, across the globe. The site has been reported to receive shipments of toxic e-waste from across the globe. E-waste management companies are doing a great job by offering business to business electronic waste recycling. Some of these institutions also offer data security solutions, environmentally responsible recycling, and hard drive shredding at competitive prices. Getting in touch with one of these companies will provide you with peace of mind that you are disposing of electronic waste safely and responsibly. Don't forget to follow this blog Ali Khan Blogs on facebook & Twitter.